When entering into contracts, enterprises can freely bind mutual obligations. However, the Vietnamese law still has regulations on agreements exceeding certain limits, which will lead to invalidity of such contracts. · Partially invalid civil transactions. In a partially invalid transaction, the invalidity of certain terms and conditions of such contract does not affect the validity of the remaining parts of the contract. Penalty for breach means a remedy whereby the aggrieved party requests the offending party to pay a fine for breach of contract if so agreed in the contract, except for cases of liability exemption provided for by the Commercial law. The penalty level for a breach of a contractual obligation or the aggregate penalty level for more than one breach is agreed in the contract by the parties but must not exceed 8% of the value of the breached contractual obligation, except for assessment services contracts in which incorrect assessment certificates were issued by those who implemented the assessment in accordance with the Commercial law. However, the aggrieved party is not always entitled to request a penalty from the offending party. If the parties do not have any agreements on fine for breach, the aggrieved party can only claim damages, unless otherwise provided for by the Commercial law. 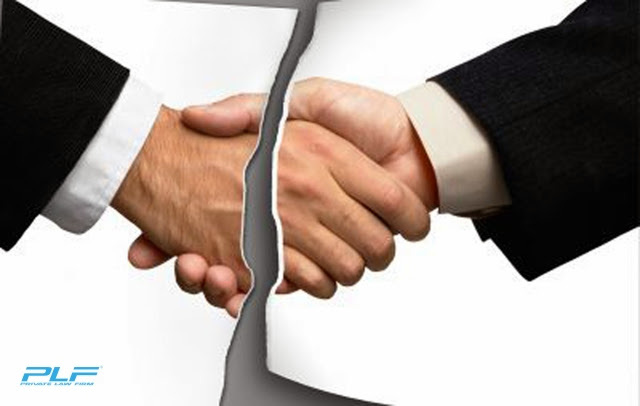 Only when there is an agreement on penalty for breach between parties does the aggrieved party have the rights to apply both remedies for breach of contract, which are penalties and damages, unless otherwise regulated by the Commercial law. The damages must cover the value of the material and direct loss suffered by the aggrieved party and caused by a contract-breaching act by the offending party, plus the direct profit which the aggrieved party would have earned if such breach had not been committed. · Breach of contract is the direct cause of the loss. In reality, claiming for damages is rather difficult. Although the aggrieved party has succeeded in proving that the breach of contract was caused by the breaching party, it is still required by the Vietnamese Commercial Law to prove and specify the extent of material loss and direct profit which the aggrieved party would have earned if such breach had not been committed. Therefore, when conducting civil transactions, both parties should define the rights and obligations of each party, the terms of penalties and damages when loss occurs, and what constitutes the material loss under the agreement.